Discussion in 'Model S' started by Mike5454, Dec 6, 2015. I am picking up my new car next weekend from the Tesla location in VA. I keep reading about navigation trip planner issues. Given the fact that this will be my first time driving the car and my first long trip, any advice on how I should plan my trip to ensure shortest time and minimal charging stops? It sounds like if I let the trip planner take over, I may run into some confusing directions for a rookie driver. Any help is appreciated. In the end, the Nav in the car will probably do fine getting you back home with the appropriate supercharger stops, etc. But, if you do use the EVTripPlanner site, you'll note the 70D doesn't exist still for estimation - you can just pick the 60 with 19s to be safe, and then also the 85 with 21s to kind of get an estimate as well - the 70D runs pretty close the the standard non-dual 85 in range. Just always ensure you have a good 10%-20% extra range at each leg. There are enough Superchargers on that path that you should have no real issues. The only stretch is getting from Virginia to Delaware. You want to avoid the Bethesda MD Supercharger (only two chargers, 1/4 the power of a regular Supercharger, and often blocked by people shopping at the mall), so get enough charge at the Woodbridge VA Supercharger to reach the Newark DE Supercharger. Assuming you use the Trip Planner ( Controls -> Settings -> Apps -> Trip Planner (Beta) ON ) the car will plot a convenient path from Supercharger to Supercharger. Unfortunately the software sometimes gets stuck on routing to a Supercharger that does not make sense. When that happens, you can remove the charging stop: Near the bottom left of the Navigation Box, press the Trip button. The navigation box will be replaced with a Trip Locations box. Press "Remove all charging stops", and then press "Resume". I recommend having the Trip Chart of the Energy App on display (Top middle of the center screen, just under the Tesla logo) as you are getting used to your car's electric consumption. If the estimated charge is insufficient to get to your next charging stop, SLOW DOWN! You can also reduce some energy consumption by lowering the heat and slowing the blower speed (or even turning it off). 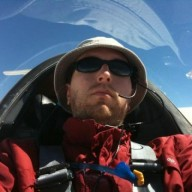 DavidB -- thanks for the helpful post, will keep on my phone until I get more intuitive with the car. This will be a pretty easy trip. I wouldn't worry about it too much. The superchargers are all pretty close together and I don't think you'll have any trouble. Use the car's trip planner to get an idea of where to stop. I'd even let it handle the navigation. But if it starts going crazy, don't be afraid to override it. When you know what your next supercharger stop will be, you can just tell the car to navigate directly there. If it tries to direct you to a different stop, then you can tell it to remove charging stops, and it will just navigate directly to your destination. When you pick up the car, spend some time using the navigation system at delivery and seeing how it works. Tell it to navigate to Boston, see the charging stops it picks, see how it works to cancel the full trip and put in the next supercharger directly as your destination, remove intermediate charging stops, etc. The delivery person should be able to walk you through it all. While on the road, the key thing to watch is the Trip tab of the Energy app. This displays a graph of your estimated charge level when you arrive at your destination (which should be your next charging stop). The main thing is to look at it every so often to see if the estimate is going up or down. If it's going up, you're in good shape! If it's going down, you may need to slow down a bit. Obviously, it all depends on how fast it's going down and what the estimate is. If your estimated charge state is 40% and it drops to 39% over 15 minutes, don't panic. If your estimated arrival is 5% and it goes 5-4-3-2-1 over a few minutes, slow down. Give yourself a good buffer for getting to the next charger. I'd say an estimated 20% charge at arrival would be comfortable. As you learn the car you can start to shave that as your comfort level dictates. If that feels too low, you can charge more. Get the PlugShare app on your phone. This can be used to find emergency L2 charging stops if you end up being unable to make it to the next supercharger. I doubt that will happen here, since there are so many superchargers along your route, but it's nice to have a backup plan. I'm unclear where he's coming from; "the Tesla location in VA" is very vague. I figured he was picking up at Tysons Corner (in which case Woodbridge is in the wrong direction), but anywhere south of DC, yeah, Woodbridge is great. @Mike5454: Where are you picking up the car? Anyway, I recommend charging more than the car suggests when you get to a supercharger (IMHO it doesn't really leave enough of a buffer for peace of mind). Planning ahead (I'm not a huge fan of EV Trip Planner, but I think I'm an outlier in this) is a good idea! Have a great trip. Keep in mind it's getting colder, so you will use more energy than expected (another reason to not stop charging just because the trip planner thinks you have enough). Picking up at the Tysons Service center. Thanks for the great feedback. I picked up my 70D at the Tysons Corner store and have completed the drive between DC and Boston several times without any issues. My number one advice (as was already mentioned, but is really that important) would be to avoid the Bethesda Mall charger. Feel free to PM me with any questions about the drive, delivery process, or anything else! Oh yeah, don't drive south to Woodbridge - utter waste. Just ask them to make sure it's charged (!). Even then it's only 107 miles to Newark. The Bethesda supercharger's only 10 miles away, so you wouldn't stop there, coming from Tysons. Well, granted, the GPS+charging info can be crazy. It's had me stop there, and it's only a few miles from my house! LOL. I laugh at it and ignore it, since I don't leave home for a trip without a full charge. Yea, sorry, the Woodbridge VA supercharger doesn't make any sense for you. Somehow, I was assuming you were going down to Richmond.